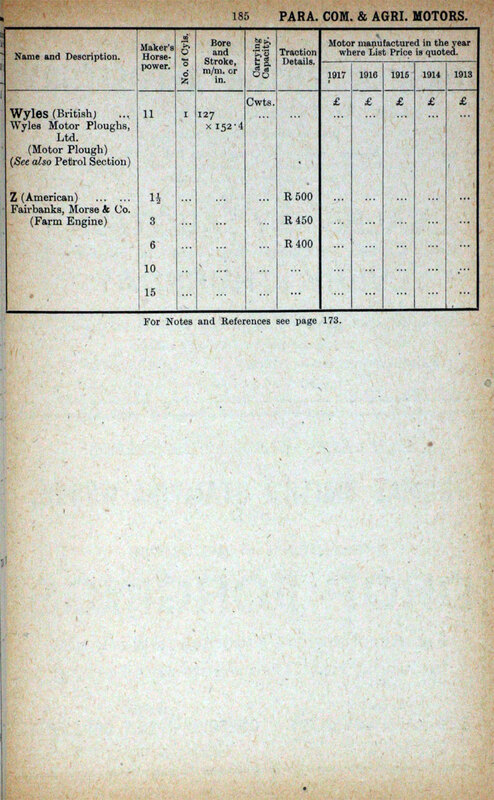 This is a list of Paraffin Commercial and Agricultural Motor Vehicles, Tractors, Ploughs, Sprayers, etc. 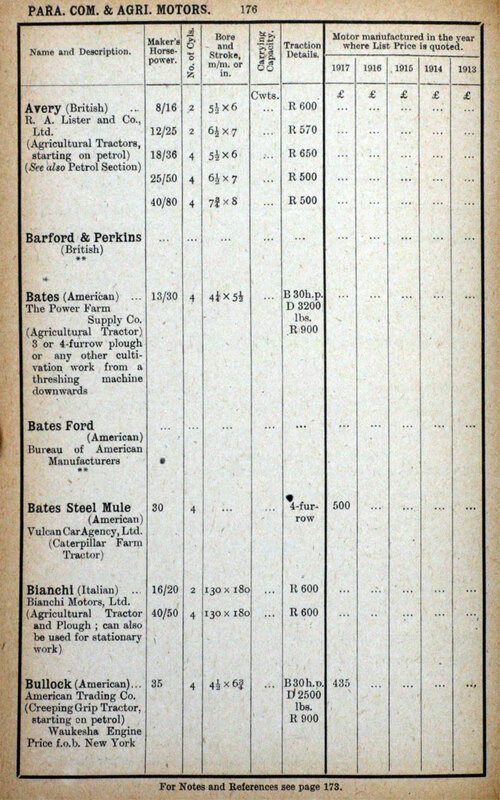 supplied in the UK from 1913 to 1917.
p175. 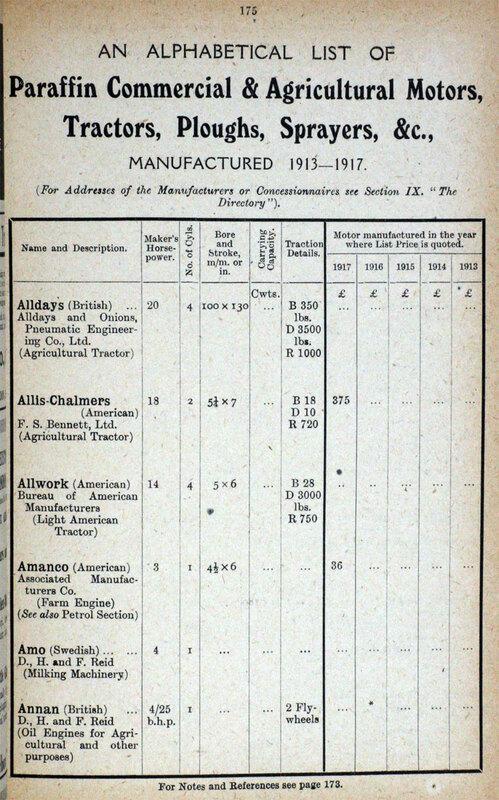 Alldays, Allis-Chalmers, Allwork (American), Amanco (American), Amo (Sweden), Annan. p176. Avery, Barford and Perkins, Bates (American), Bates Ford (American), Bianchi, Bullock (American). p177. 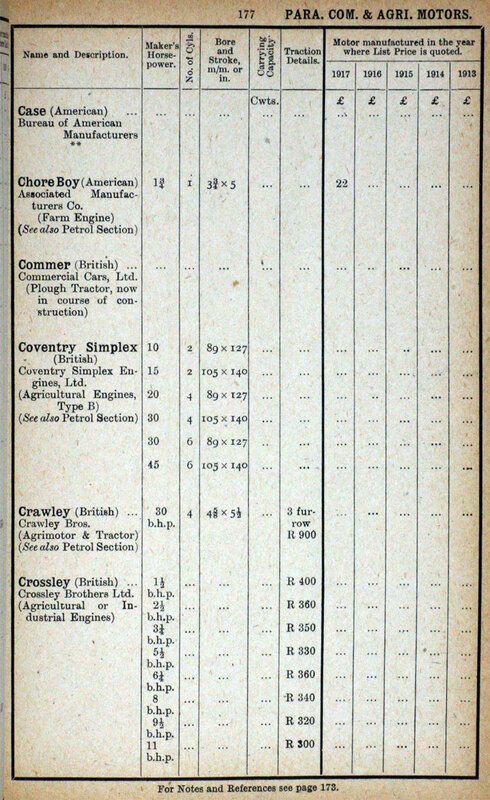 Case (American), Chore Boy, Coventry Simplex, Crawley, Crossley. p178. Crossley (cont. 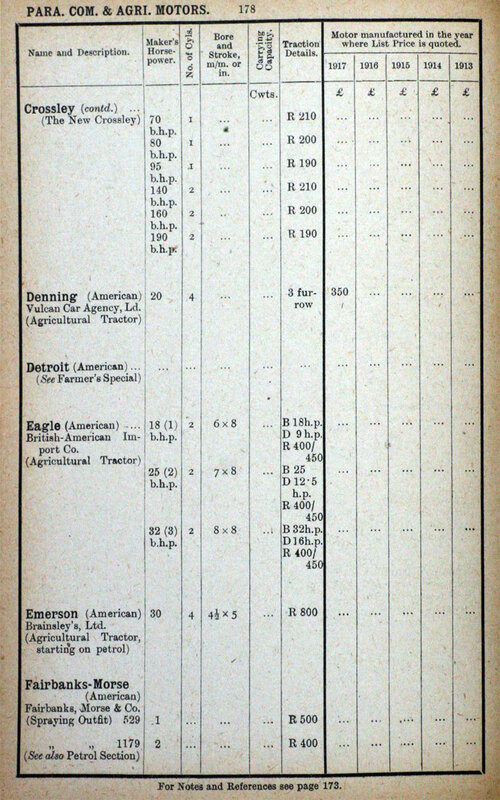 ), Denning (American), Detroit, Eagle (American), Emerson (American), Fairbanks-Morse (American). p179. 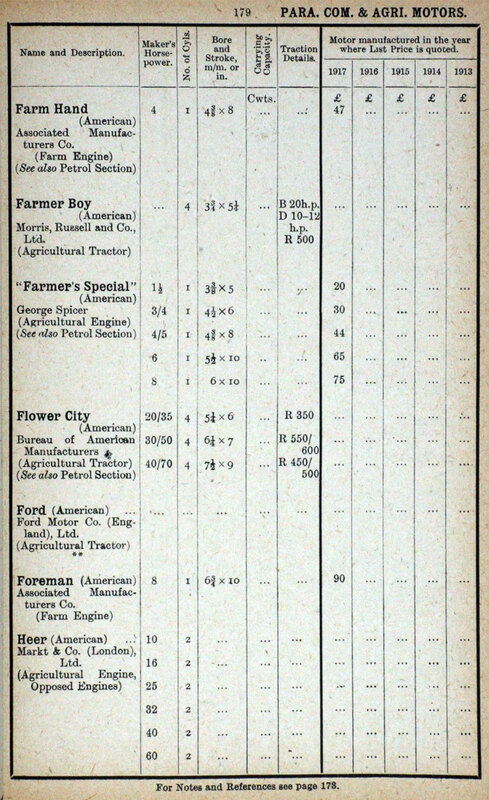 Farm Hand (American), Farmer Boy (American), Farmer's Special (American), Flower City (American), Ford (American), Foreman (American), Heer (American). p180. Heer Junior (American),. 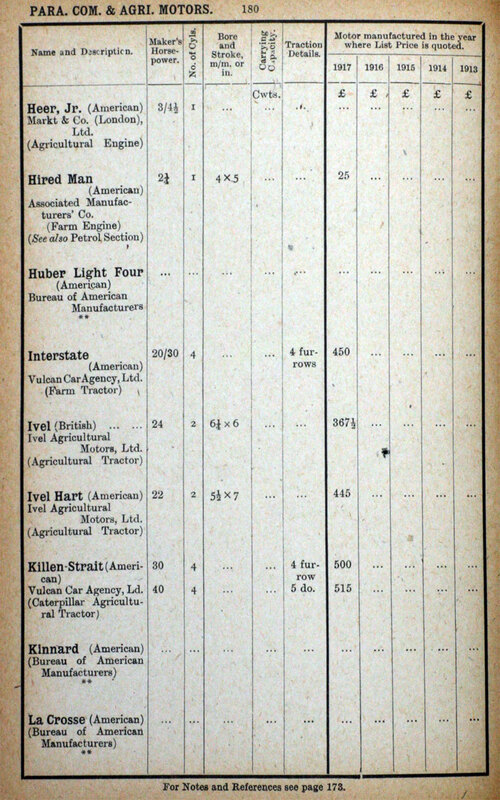 Hired Man (American), Huber Light Four (American), Interstate (American), Ivel, Ivel Hart (American), Killen-Strait (American, Kinnard (American), La Crosse (American). p181. 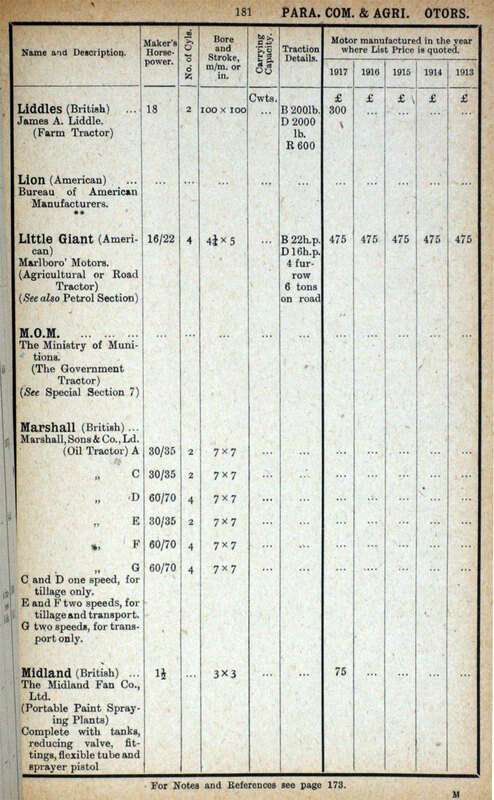 Liddles, Lion (American), Little Giant (American), M. O. M., Marshall, Midland. p182. 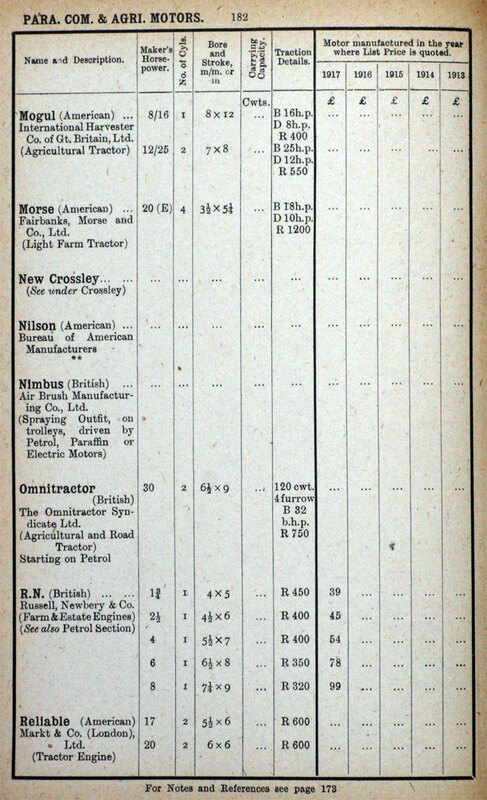 Mogul (American), Morse (American), New Crossley, Nilson (American), Nimbus, Omnitractor, R. N., Reliable (American). p183. 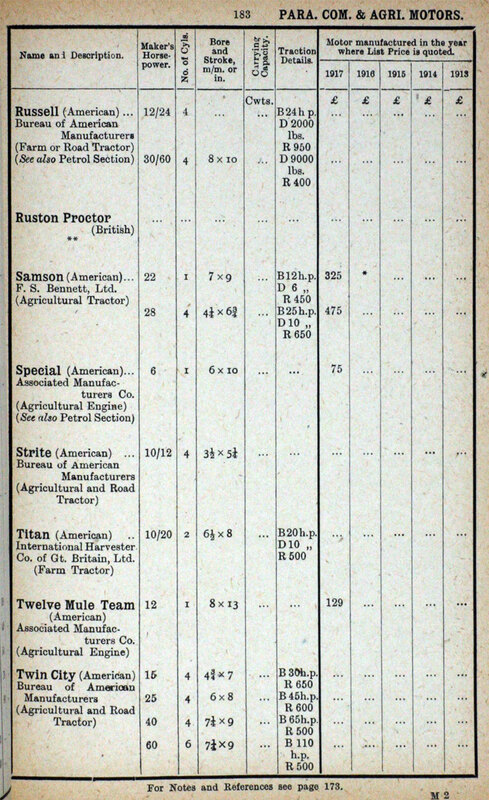 Russell (American), Ruston Proctor, Samson (American), Special (American), Strite (American), Titan (American), Twelve Mule Team (American), Twin City (American). p184. 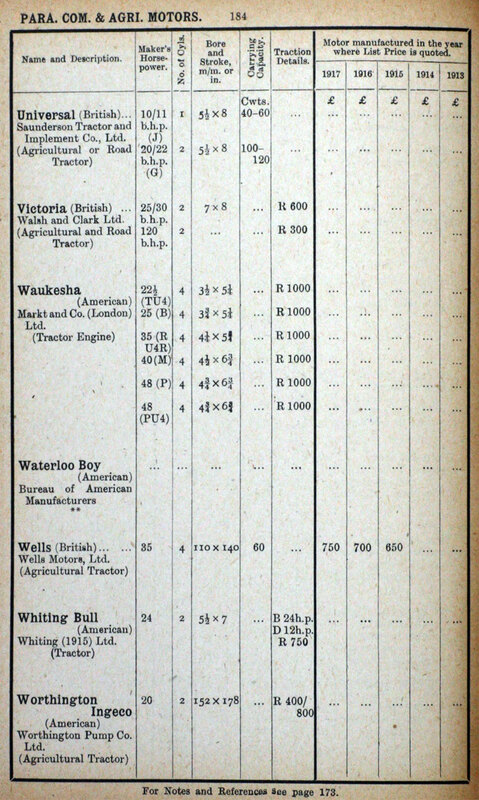 Universal, Victoria, Waukesha (American), Waterloo Boy (American), Wells, Whiting Bull, Worthington Ingeco (American). This page was last edited on 29 May 2015, at 10:43.